Just updated 3/3/2019 new paint, removed wallpaper, updated kitchen to white cabinets! GORGEOUS! Beautiful executive home on an exquisite lot with lake frontage & views of the 16th fairway of the River Hills Golf Course! 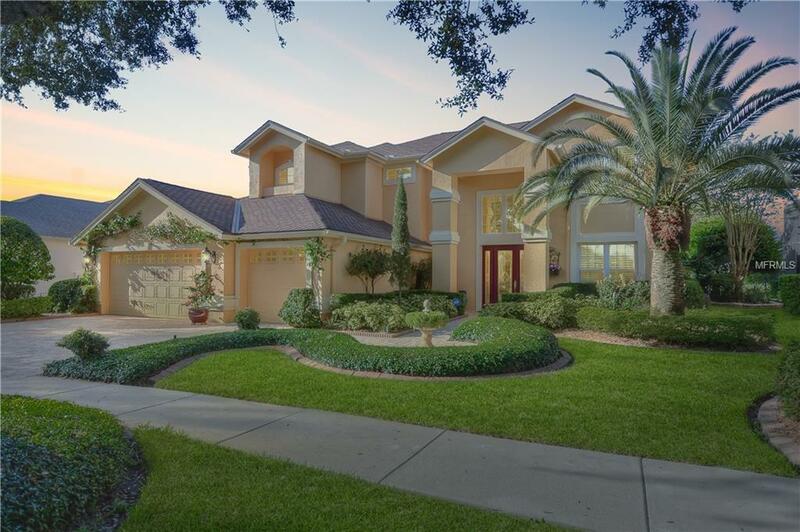 Stunning elevation, pavered driveway & lush landscaping! 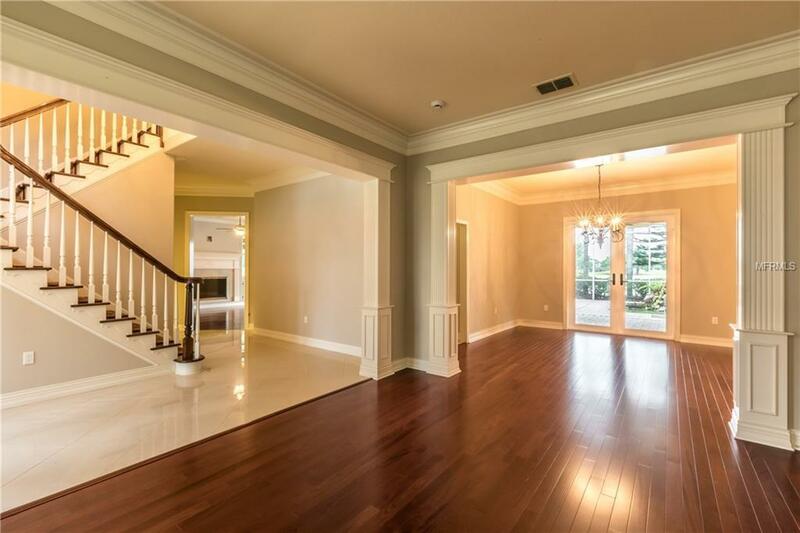 The foyer welcomes you with 20 porcelain tile & soaring ceilings! You will immediately fall in love with all the craftsman moldings & custom woodworking throughout! Formal living dining & living areas are wonderful for entertaining & offer Brazilian cherry wood floors. Moving forward is a gorgeous kitchen with granite, marble backsplash, eat-in nook, center island & spacious pantry! The family room is also open to the kitchen & boasts triple pocket sliders leading to the lanai, built-ins & hidden tv nook in faux fireplace with marble mantel! Downstairs study with coffered ceiling could double as a 5th bedroom! 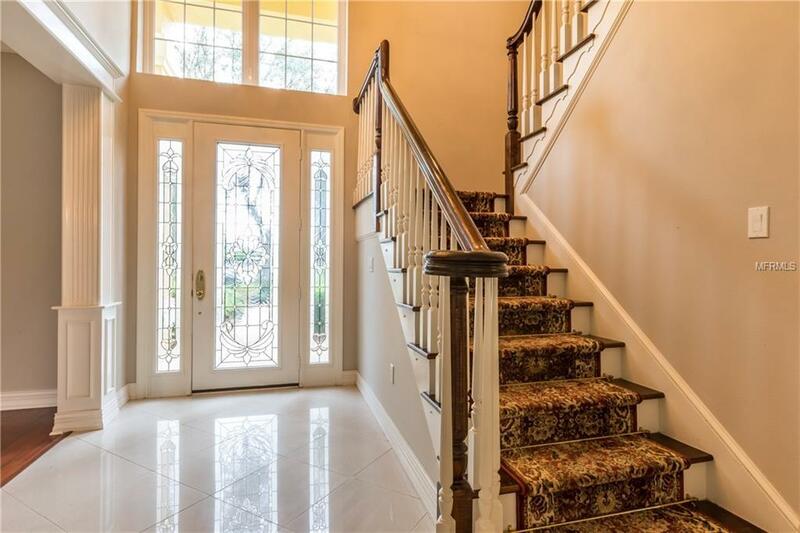 Upstairs you will notice the enormous master suite offering a cozy seating area, great for a nursery, as well as his & her walk-in closets & en-suite with a great walk-in shower with stunning lake views! Three more spacious bedrooms are also upstairs, each with access to a bathroom! Thats not all! The lanai & outdoor living space are one of a kind & set amid stunning, yet calming lakefront & golf course views. 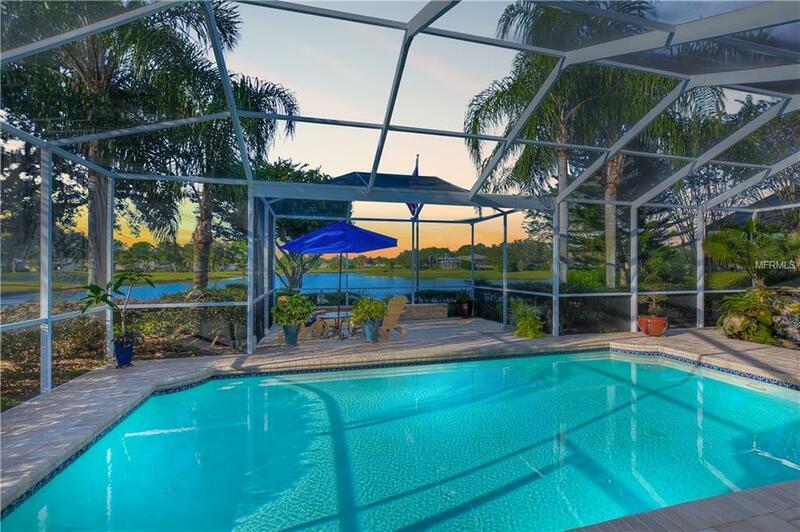 Pavered lanai surrounds an inviting 14 x 28 ft salt water, self-cleaning pool, koi pond with waterfall & summer kitchen with granite counters, bar & backsplash plus a gas grille, fridge & sink! 2012 new roof! WOW! Disaster Mitigation Fire Resistant Exterior Fire/Smoke Detection Integration Hurricane Insur. Deduction Qual. Pet Restrictions Domestic Only- Verify With County.